LOS ANGELES, CA --(Marketwired - November 21, 2017) - Gamevice, the makers of the zero latency and direct connected controller, announced today that it will provide full support to Spark, an easy-to-use, fun-to-fly mini camera drone from DJI, the leading drone and flying camera creators. The Gamevice controller gives Spark users the added benefit of improved precision, control, and ergonomics when flying the drone using their smartphone. Gamevice is an approved Apple MFi partner with direct Lightning support. "DJI's latest innovative drone pairs well with our high-performance controllers," said Phillip Hyun, CEO, Gamevice, Inc. "We are pleased to be working with them and other leading consumer electronics creators on future products that will leverage our platform." "We designed Spark to be the easiest DJI drone to fly, whether using simple hand gestures, a smartphone or the dedicated remote control," said said Paul Pan, Senior Product Manager at DJI. "Gamevice gives Spark pilots another simple, highly intuitive way to control their drone, letting them fly, capture and share life's moments while on the go." The functionality of Gamevice doesn't stop with the benefits it offers to users of drones like DJI's. The device serves as an entertainment hub, with ever growing capabilities as new games, apps and hardware that support the controller launch regularly. 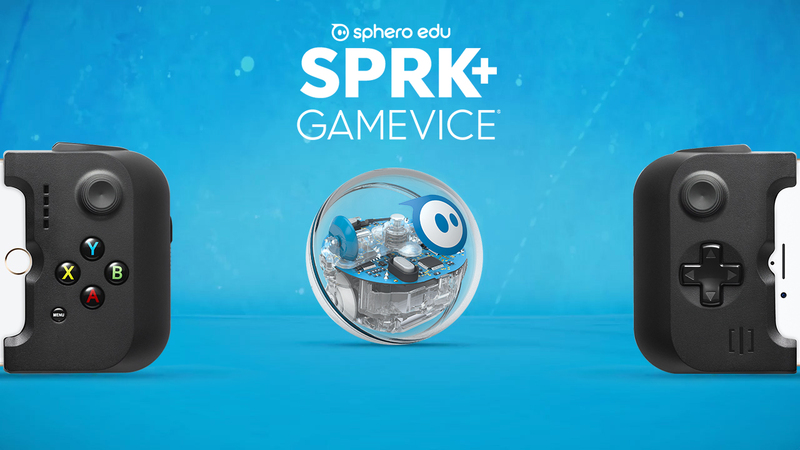 Gamevice also supports the SPRK+ robot from Sphero, adding a new layer of connectivity between consumers and their robots. With precision controls, improved ease of use, and comfortable design, Gamevice ensures that when SPRK+ users are struck with creativity, it's easier than ever to bring their ideas to life. The preferred controller of gamers everywhere, Gamevice creates a console experience on mobile devices to more than 1,000 video games including Street Fighter IV, Minecraft and NBA 2K18. The controller has extended its critically-acclaimed functionality to users of smartphone-controlled devices including robots and drones like DJI's Spark and Sphero's SPRK+ robot. By providing precision control and an ergonomic design, Gamevice allows users to achieve a new level of usability and comfort over a mobile device's touchpad interface, and offers the lowest latency of any mobile controller available. 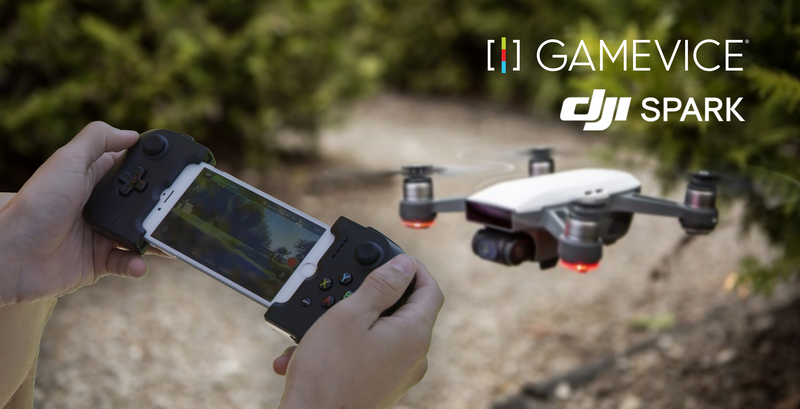 More than just a controller, Gamevice is an entertainment hub that transcends the boundaries of play, bringing video games, drones and toy control to one device. Mobile gamers and gadget gurus no longer have to deal with the limitations of a touchscreen as Gamevice delivers controls on par with consoles or high-end remotes. From modern console classics like Capcom's Street Fighter IV to Mojang's omni-platform Minecraft, there are more than 1,000 Gamevice compatible games. Weighing in at less than a pound, Gamevice was engineered specifically to enhance gaming for mobile devices. Based in Boulder, CO, Sphero fuses physical, digital, and entertainment experiences to unlock the true potential of play and inspire tomorrow's creators. Sphero was founded by Ian Bernstein and Adam Wilson after completing Boulder Techstars in 2010. We're now available in 80+ countries around the globe and have sold more than one million robots to date… and counting. We're here to rattle cages, ruffle feathers, and reinvent entertainment... all for the sake of inspiration and creation. It's time to defy convention and change the way the world thinks about play.